Slots are the most widespread type of game in both online and brick-and-mortar casinos which can be easily explained with their simplicity. Practically, anyone can play because the rules are simple to learn and no previous experience or skills are required in order to scoop a massive payout. Slots come in all shapes and forms, not to mention the unprecedented diversity of themes and betting limits will suffice to meet the expectations of the most demanding slot enthusiasts. However, there is one category of online slots which are in especially high demand among fans of the game, namely the so-called bonus slots. As the name itself suggests, such games come with a great number of additional features which aim at assisting players in ending their betting session with more substantial profits. We have outlined some of the most important features of online bonus slots below but first, let us start with a few words on the games’ interface, gameplay, and visual characteristics. As the name itself indicates, this is a slot variation which offers bonus games and other special features as an additional incentive to players. Most advanced 5-reel slots, available in the gaming collections of established online casinos, fall into this category. WMS was the first slot manufacturer to introduce an additional bonus game on a separate screen, Reel’em In. This innovation can mainly be attributed to the introduction of the microchip technology in video slots as it enabled developers to broaden their scope and add greater entertainment value to their offerings. In addition, bonus slots allow for greater interaction with the players as their bonus games and features typically revolve around the slots’ storyline and general theme. Apart from the additional games and features, bonus slots are no different than less advanced, classic slots. Players will hardly notice any major differences when it comes to gameplay and interface. One is again required to adjust their coin value, multiplier (or the number of coins per line) and activate the paylines they wish to bet on. Of course, if the paylines are fixed, players will have no other option but to bet on all of them. Take a look at a bonus slot’s paytable and you will immediately notice some additional symbols are listed there. Some of them may trigger the bonus game, others may unlock a round of predetermined number of free spins. Please note that bonus games typically load in a separate screen and are not part of the base play. In bonus slots, players can usually trigger a round of free spins but the number of the extra spins is game-specific. Both bonus games and free spins are unlocked at random and do not involve players making additional bets. However, the payouts depend on the amount of the initial bet players have triggered the bonus feature with. Bonus slots are considered more elaborate, especially when it comes to graphics and animations. The visuals are exceptionally realistic and crisp, while the depth of the sound effects adds an extra dimension to the games. The storylines are more complex as players are often required to complete different achievements. Some bonus slot titles allow players to save their achievements during a bonus round and proceed where they have left off the next time they load the game. Then again, there are bonus slots which are based on popular blockbusters or TV series. These typically start off with a short animated introductory clip and may feature actual footage from the movie whenever the player, unlocks the bonus round or hits a winning combination. In most cases, players are guaranteed to collect an additional prize once they succeed in triggering the bonus game. One important thing to remember is that there is not much slot players can do to trigger a bonus game. 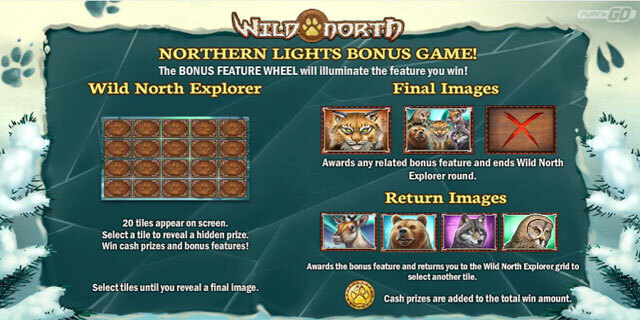 Bonus games are typically unlocked at random either by landing a specific number of bonus symbols or by the hitting three or more scatters on the reels. The additional games you can come across when playing bonus slots can be categorized into several groups – pick-to-win, pick-to-match, wheel games and free spins. This must be the most common type of bonus game to be found in advanced slot variations. These are quite straightforward and therefore, easy to play. Pick-to-win bonus games are unlocked at random, typically when the player succeeds in lining up a given number of bonus symbols during base play. In many cases, the bonus symbols need to land on specific reels in order to trigger the mini-game. This is the case with Betsoft’s Dr. Jekyll & Mr. Hyde where players are required to land the bonus symbols on the second, third and fourth reels in order for the bonus game to start. In NetEnt’s Bloodsuckers slot, one needs to land three or more bonus symbols on an active payline in order to trigger the bonus game and select several vampire coffins containing a specific number of extra coins. Once the pick-to-win game is unlocked, players usually need to click on specific locations on the screen to uncover different prizes or multipliers for the amount they have won on the last spin in base-game mode. At the end of the pick-me-bonus game, players are awarded all the winnings they have accumulated during the bonus round. More often than not, slot fans get to choose one or more boxes or treasure chests with hidden cash prizes or multipliers, but this also is game-specific and varies depending on the slot. Another popular feature you may come across on some bonus slots is the pick-to-match game. It resembles the aforementioned pick-to-win variation, but there are a few small deviations. The bonus game is again unlocked at random by lining up a given number of special symbols on the reels. However, players are presented with the option to try and pick two or more matching items or cash amounts, hidden in different locations on the bonus game’s screen. If successful, players are rewarded with the corresponding payout, depending on the symbols they have matched. In some instances, players get to win one of several progressive jackpots when they unlock the pick-to-match bonus game. One is again required to uncover several matching symbols. Each symbol is associated with one of the progressive jackpots. Such is the case with some slots from Playtech’s popular Marvel series. Like most bonus games, those that involve spinning a wheel are also triggered randomly and do not call for any skills. After the players have landed the bonus symbols that unlock the wheel game, they are simply required to set the wheel in motion. The wheel is divided into several segments and each one contains a specific number of extra coins to be won or different multipliers that will boost the player’s winnings on the last spin in base-game mode. Occasionally, the wheel may reward slot fans with free spins. Once the wheel comes to rest, the player collects the prize indicated by its pointer. These are considered the most common and basic bonus games to be found in video slots. Rounds of free spins are also triggered randomly, usually, when players land several scatter symbols across the reels. The number of spins you get often depends on how many special symbols you have hit. Bonus spins are typically played at the same bet amount the player had used prior to triggering them. Some have multipliers attached to them, allowing you to boost your winnings but again, this is game-specific. Depending on your slot of choice, you may be presented with the option to potentially retrigger more free spins during the bonus round. The free spins are often retriggered when the player succeeds in hitting the same number of bonus symbols that have unlocked this bonus feature in the first place. Note that you will not be able to retrigger the spins indefinitely as most bonus slots allow for a set number of spins to be unlocked in a single bonus round. Most bonus games pose as an extra incentive for slot fans to play the game some more and aim at maintaining their interest for longer periods of time. However, there are some additional special features incorporated in bonus slots, which would further diversify one’s gameplay and enable them to potentially bag more substantial profits. You will be able to find more detailed information on these extra features below. Wilds are commonly incorporated in bonus slots and have become somewhat of a standard in such games. These are considered some of the most lucrative symbols in video slots as they serve the same purpose wild cards do in some variations of video poker. In order words, wilds can replace other symbols on the reels and thus, enable players to complete more winning combinations. One thing wilds cannot substitute for, however, is the scatter symbol. The same applies in full force to other bonus symbols, utilized within the slot. More often than not, wilds need to land on specific reels or active paylines in order to render a payout. There are many different subtypes of wild symbols, which vary depending on the slots players choose. For instance, once expanding wilds appear on the screen, they eventually cover all remaining symbols on the reels, thus lending more winning combinations. Shifting wilds are a favorite of slot fans as they remain on the screen on subsequent spins and shift to different positions on the reels after each round. Walking wilds resemble shifting wilds but can move either to the left or right or sometimes, in both directions. The stacked wilds also enjoy a great popularity among players, which is hardly surprising considering they stack on top of each other to cover an entire section of the reel. Sticky wilds are a big hit among slot enthusiasts and there is a good reason why. They function like regular wilds as they replace symbols on the reels and help players land more winning combinations. However, this wild variation “sticks” on the reels for a predetermined number of subsequent spins. Usually, these are found either during a round of free spins, or are part of other special features. Wilds are game-specific so players are strongly recommended to check the paytable to get a better idea as to what to expect in terms of extra features. Scatters probably rank as the single most lucrative feature of bonus slots and are what most slot fans are hoping to see on the reels. Unlike wilds, however, scatters do not necessarily need to land on specific paylines in order to pay. Also, they serve a different purpose – if the player lands several scatter symbols on any of the reels, they will unlock other extra features such as rounds of free spins or bonus games. At times, scatters simply function as regular symbols and pay out on winning combinations. In some cases, scatters can also boost the amount players have won as they function as multipliers, depending on the game. 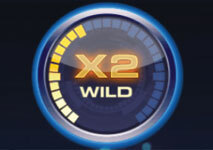 Some bonus slots incorporate special multiplier symbols. Whenever these land across a given active payline, they multiply the payouts on winning combinations by a predetermined amount for each coin the player has bet on this spin. Sometimes, multipliers are available only to players, who have bet the maximum number of coins allowed in the game. Multipliers are typically incorporated into the rounds of free spins or bonus games and are less common in base-game mode. Some symbols function both as wilds and multipliers simultaneously, thus doubling the player’s payout.